​We are a nationwide distributor for the United States, Canada, and Mexico. See our website to see specs and photos of our Sheet Metal Hand Brakes, Press Brakes, Hydraulic Shears, Notchers, HVAC Pittsburgh Lockformers, Bending Rolls (plate, pipe, and structural) and more. We are a nationwide distributor for the United States, Canada, and Mexico. See our website to see specs and photos of our Sheet Metal Hand Brakes, Press Brakes, Hydraulic Shears, Notchers, HVAC Pittsburgh Lockformers, Bending Rolls (plate, pipe, and structural), H-frame and C-frame Presses. Check out our huge selection. Most are made in the USA. Now you know some of the many reasons why we are one of the best machine tool distributors. Arett Sales Corporation distributes lawn and garden hard goods and outdoor living supplies to garden centers, hardware stores and home centers in 20 states. Arett Sales is managed by a team of professionals dedicated to serving the needs of retailers in the lawn, garden and home center industries. Our mission is to continue to fulfill the needs of our lawn and garden retail customers by providing 100% satisfaction. We pledge to offer the benefits our customers deserve and have become accustomed to such as: Outstanding Product Selection – new products and exclusive lines plus year ‘round inventory maintenance on thousands of products you depend on! Competitive pricing and opportunities to save even more on special buying programs throughout the year. Expert merchandising, marketing, advertising programs and more. We are here to serve YOU better than ever! Drop Ship Tools offers drop shipping to our customers who cannot invest in bulk quantities of the vast selection of products we already carry. Drop Ship Tools offers drop shipping on all of our merchandise. We will drop ship any and all products that are available for purchase on our web site. We strive to offer a large selection of merchandise for our drop shipping customers. We carry everything from Abrasives & Blades, Air Tools, Batteries, Brushes & Paint Accessories, Clamps, Cordless Tools, Cutting Tools & Chisels, Drills, Electrical Tools, Gloves, Grinders, House & Garden Tools, Hydraulics, Measuring Tools, Pliers, Pullers & Hoists, Safety Equipment and more. Contact Drop Ship Tools today. FISKARS BRANDS, INC. is a major manufacturer and distributor for Cutting Tools, Axes Floral Snips, Grass Shears, Hand Pruners, Hedge Shears, Loppers, Pruning Stik Tree Pruners, Saws, Landscape Tools, Landscape Tools, Cultivating Tools, Digging Tools, Maintenance Tools, Maintenance Tools, Brooms, Rakes, Watering Products, Watering Products, Accessories, Drip, Garden Hose, Soaker, Sprinkler Hose Gardening Accessories and more. Gard’N-Wise Distributors is a specialty distributor of lawn, garden, greenhouse and landscape products. We’ve been serving garden centers, retail and commercial nurseries and greenhouses for over 40 years. Our specialty is serving independently owned and operated retailers with exclusive and unique products for the home gardening enthusiast. Our product selection includes grower supplies, lawn and garden fertilizers & chemicals, tools, gardening containers, landscape fabrics, garden pond supplies and a variety of garden accessories. We are distributors of the brands gardeners trust, such as Ferti*lome, Miracle-Gro, Bayer Advanced, Scotts and Safer Products to name a few. First started in 1953, L&L, began by producing redwood containers for garden centers throughout Southern California. Over the year's we've developed into the West Coast's leading manufacturer and distributor of lawn and garden products. With three locations servicing the Western United States, L&L maintains the highest quality standards of service and products to our valued customers. Noland Company, a wholly-owned subsidiary of WinWholesale Inc., is a leading wholesale distributor of mechanical equipment and supplies, primarily to the construction trade, but also to various other industries, with more than 100 locations across the eastern and southern United States. Noland stocks its warehouses with products from hundreds of manufacturers, encompassing plumbing fixtures and piping products, HVAC equipment and accessories, and a wide array of electrical and industrial operating and maintenance supplies. We appreciate your feedback and encourage you to tell us how we can better serve you. For more information contact Noland Company today. Power Equipment Systems (PES) was established in 1979 as a lawn and garden repair shop and regional service distributor. Since then, PES has grown to be a premier distributor and informational resource for lawn and garden dealers across the Western United States. PES proudly represents a number of manufactures across the country and provides customers with parts sourcing, technical and educational assistance and marketing resources to help them be more successful in every aspect of their dealerships. The South's Fastest Growing Lawn and Garden Equipment Distributor for Replacement Parts and Accessories. Smiths South-Central employs a full staff of customer service and technical service representatives ready to assist our customers. Order lines are open from 7:00AM until 6:00PM, Monday through Friday. Customers are allowed to add to any order in process throughout the day without penalty or restriction. Internet orders may be placed 24-hours a day, 7-days a week. Smiths South-Central include: Dedicated, service oriented customer service; Same Day Shipping on any order placed by 4:00PM; Next Day UPS and motor freight service to most accounts; “Key Dealer” preferred account status; www.smithsadvantage.com Online Ordering; 800 Phone and FAX order lines; Courtesy Phone call on any backorder prior to shipping; One stop shopping for OPE parts and equipment; Emergency Parts Locator Service; Annual Dealer Sales and Technical Service meetings and more. Contact Smiths South-Central today. At Strybuc Industries, we deliver what Your customers need: Quality Products, Competitive Prices, Comprehensive Catalogs, and Knowledgeable Staff. As the primary source for many businesses throughout the United States and surrounding countries, Strybuc Industries is the leading wholesale distributor of quality window and door replacement hardware. Since 1982, we have been assisting customers with growing their businesses. With over 75,000 SKU’s in stock and the national distributor for many popular OEM window and door parts’ manufacturers, Strybuc Industries has what your customers need for building restoration job, property renovation, and/or home improvement projects. For more information please contact Strybuc Industries. Tech Tool Supply is a distributor of Low Voltage tools and equipment specializing in Cable TV, Satellite, CCTV, Home Theater, Phone, Data, Fire, and Security. Our warehouse is packed full of specialty tools from wire fishing to testing and measurement! Tech Tool Supply offers a knowledgeable sales staff with a combined 35 years of experience in various low voltage fields. Installers, Dealers, & Retailers are welcome. ToolPro is a wholesale distributor of professional tools to dealers and distributors in the drywall, masonry, plaster and concrete industries. 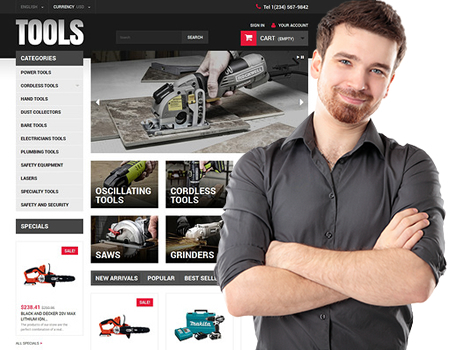 With over 4000 tools by 360 manufacturers, you're bound to find the tool you need, in the quantity you need. Shop online, or give us a call today! We are an energetic company, highly competent in our field, and pleasant to do business with. We bring added value by actively seeking ways to help our clients address the demands of their customers and grow their profits within their tool program . SalvageSalvage is a wholesale Tools distributor, which carries loads of overstock merchandise, liquidation, closeouts salvage and department store returns such as: Hand Tools, Power Tools, Hard Tools, Paint, Lawn Mowers, Tool Chests and more. Some of the name brands we carry are, Dewalt, Mika, and many others. We have a huge variety of hand, garden and power Tools truckloads in stock. We contract with the top department stores and wholesale Tool distributors in the usa. We have many shipping points all over America. We'll ship your wholesale power Tools salvage merchandise truckloads from the closest Department Stores Reclamation Center so you can save money on freight. Contact us today. Wholesale-Garden-Supplies.com, a leading supplier of wholesale garden products. We have a catalog of thousands of products catering to lawn, garden, outdoor living, pond and wild bird retailers. We are a business to business portal and sell to qualified retailers only, not individual consumers. We have partnered with leading manufacturers and distributors and all products are shipped directly from them. With Wholesale-Garden-Supplies.com, placing orders is safe, secure, and convenient. You will also enjoy our discounted wholesale pricing. What's more, we continually scan and research the market for new and unique top-selling products.